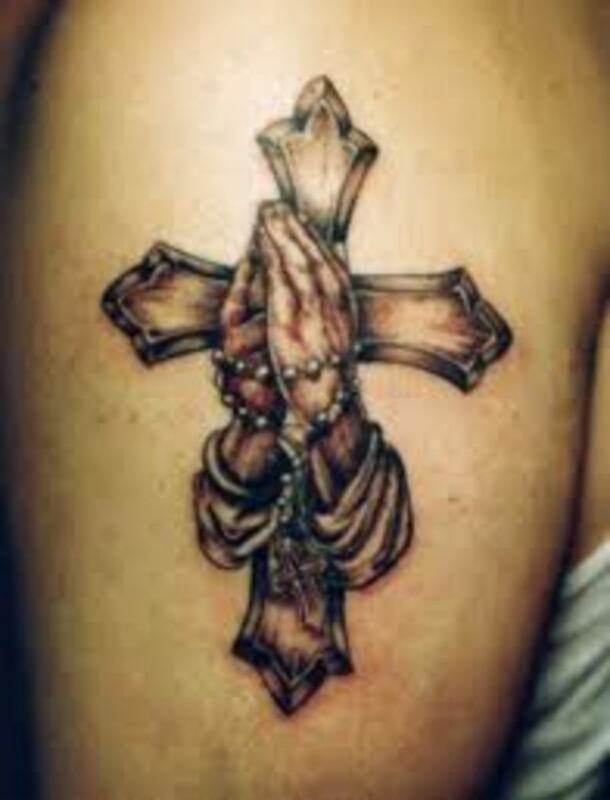 For anyone that is of the Christian faith, you may often wonder if there is a tattoo out there that would be considered "appropriate" to where. 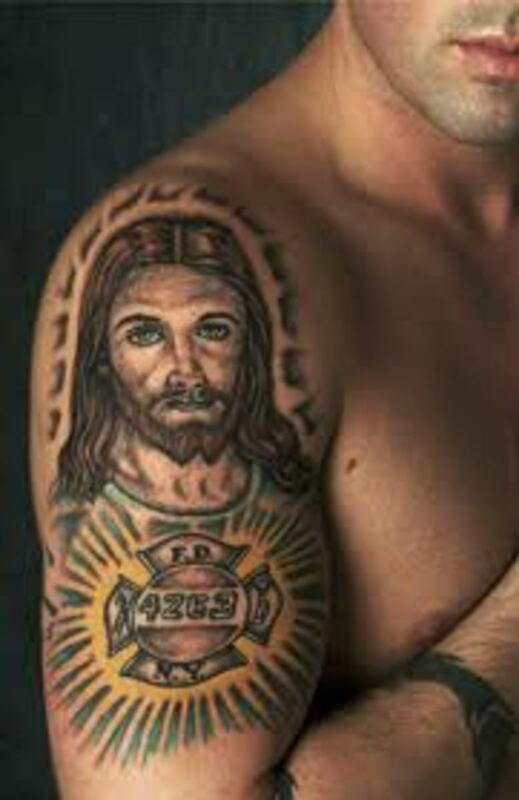 When it comes to Christians wearing tattoos, everyone seems to have an opinion. But what if it is a tattoo of a cross? 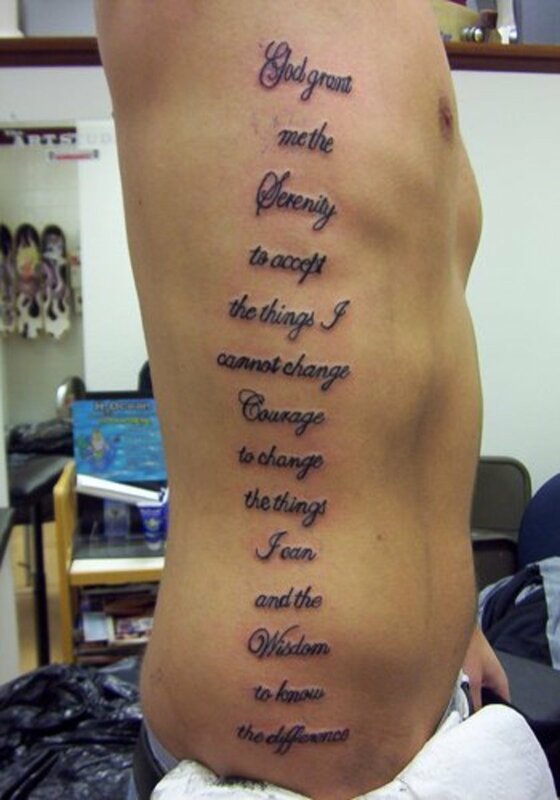 What will be said if it is a Bible quote tattoo? Every Christian also has their own view on other Christians wearing religious tattoos. 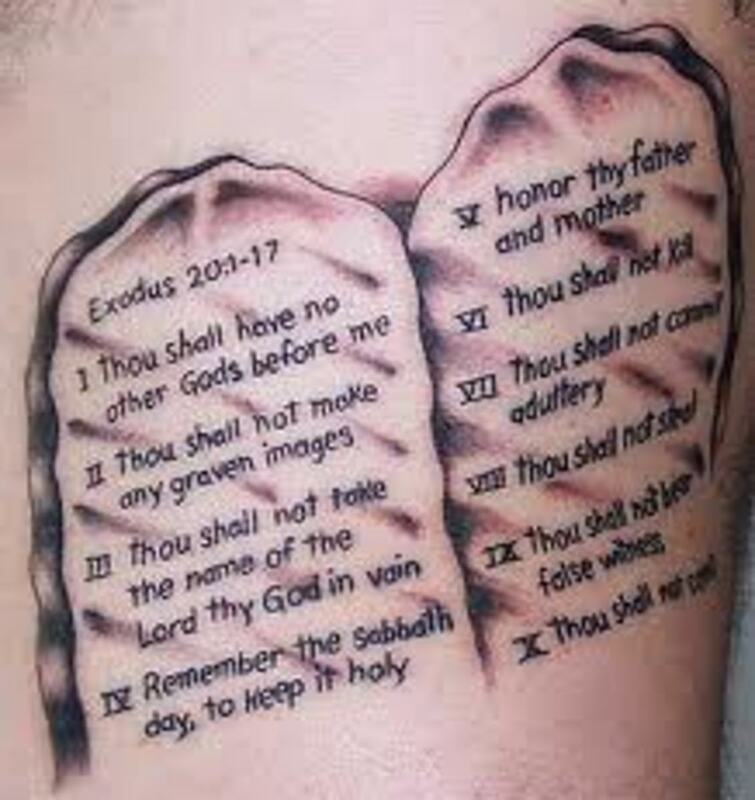 Some people may refer to the Bible when it comes to tattooing the body. 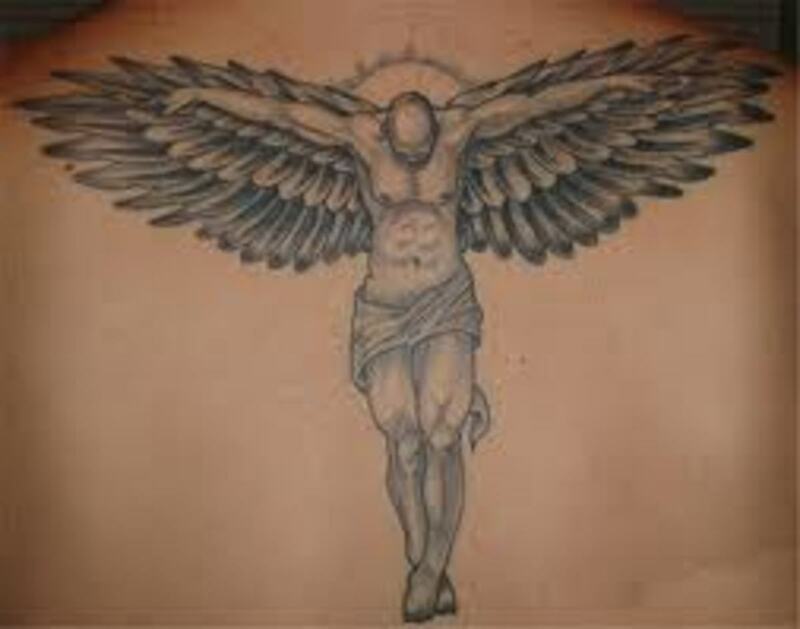 In this article, we will discuss Christian related symbols that can be used for an appropriate Christian tattoo. We will also review what these Christian tattoo symbols symbolize and you will have a chance to view several different Christian tattoo symbols. 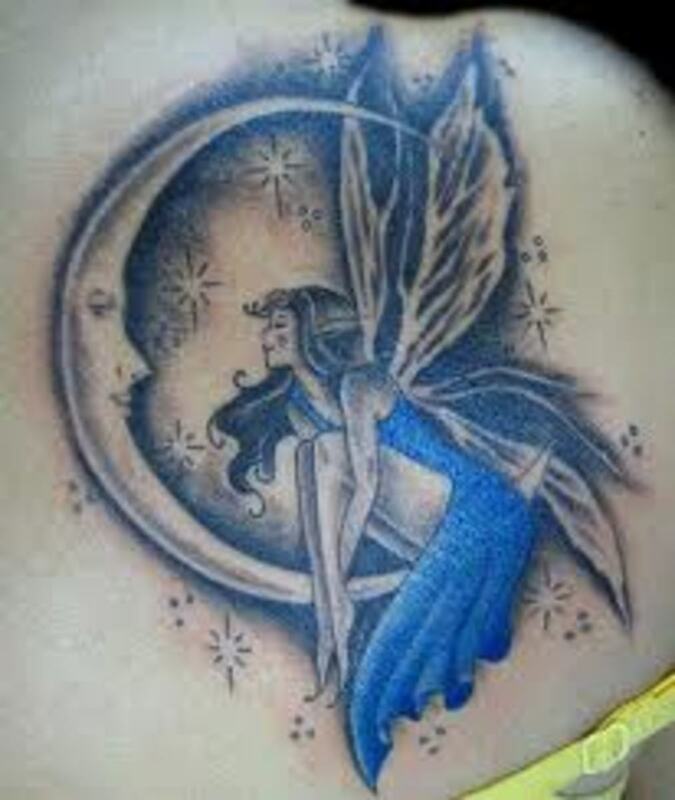 In the end, it will have to be your choice whether or not you choose to wear such a tattoo despite what others say. No matter where you go, there will always be someone that will judge you for your tattoo. This is one of the main reasons that I try to educate people about the symbolism behind tattoos. 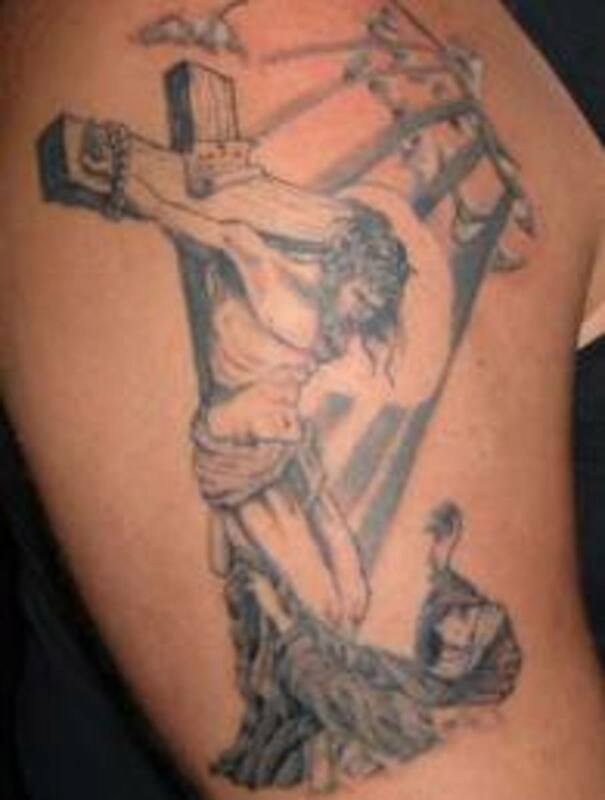 When it comes to religious tattoos, this judgement if often much worse. No matter what, you will always be judged for what you do. If you are a Christian, this is because your expected to live a certain life and have a self-value of your body. However, it is not specifically noted in the Bible that you can't wear a tattoo. In my eyes, there is nothing wrong with a Christian getting a religious tattoo. The way I see it, it shows God how much you care, love, and believe in him. 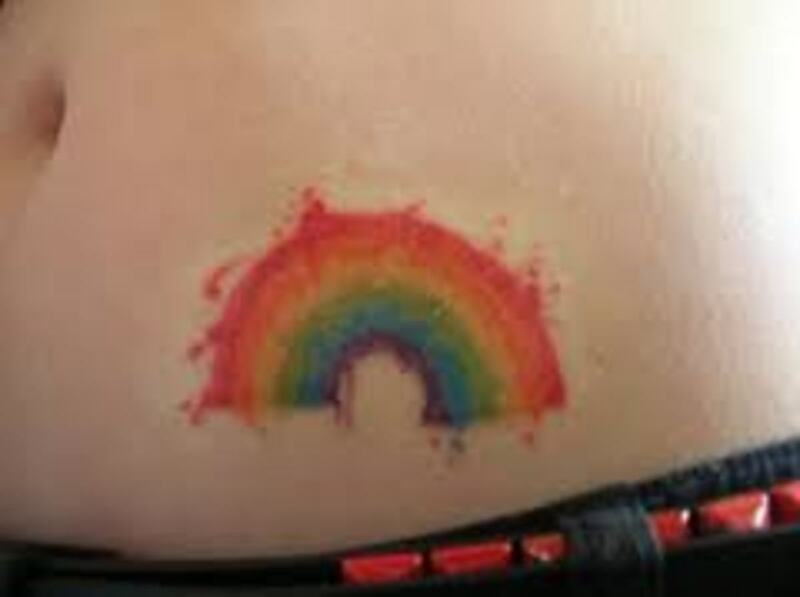 In saying that, I would consider specific tattoo symbols inappropriate for Christians, such as tattoo symbols which contradict the Bible and God. In the Bible, it is said that the body is the temple of the Lord. Many people believe that anything that we do to body that causes harm is a sin. For one, tattoos do not harm the body. 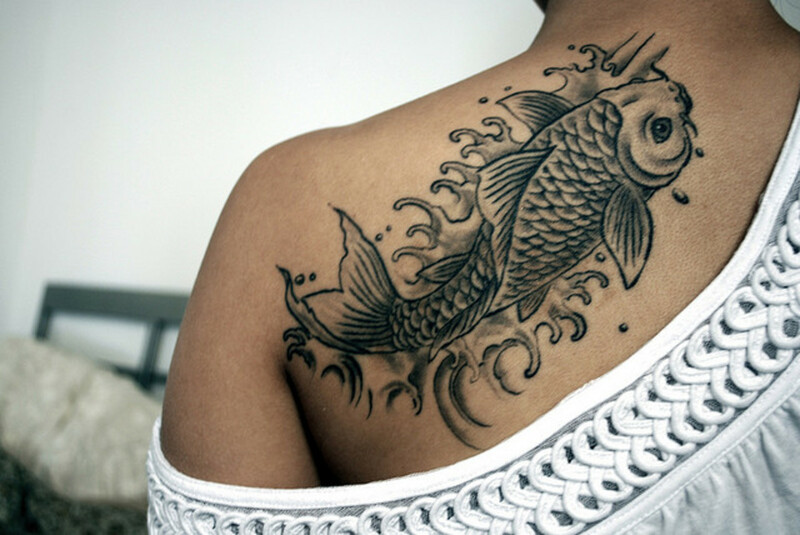 A tattoo is permanent art that will be displayed for life. 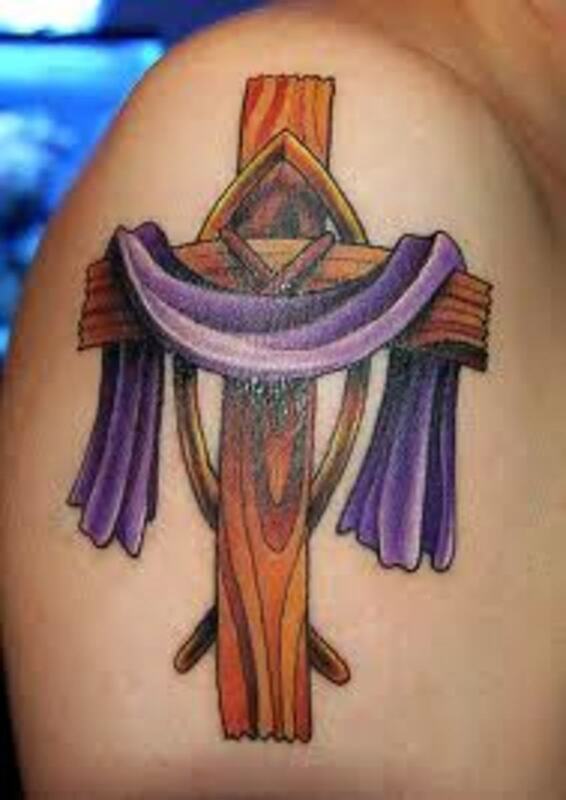 I believe that there is no difference between wearing a shirt of a cross and having it on your arm as a tattoo. No matter how you view it, your still wearing it for people to see. However, many do not see it in that manner. I will be the first to tell you that I am not a Christian, but I do believe in God. In a sense, I am not qualified to tell you right from wrong. Even so, I am not trying to sound like I am qualified. I am just giving you my opinion. 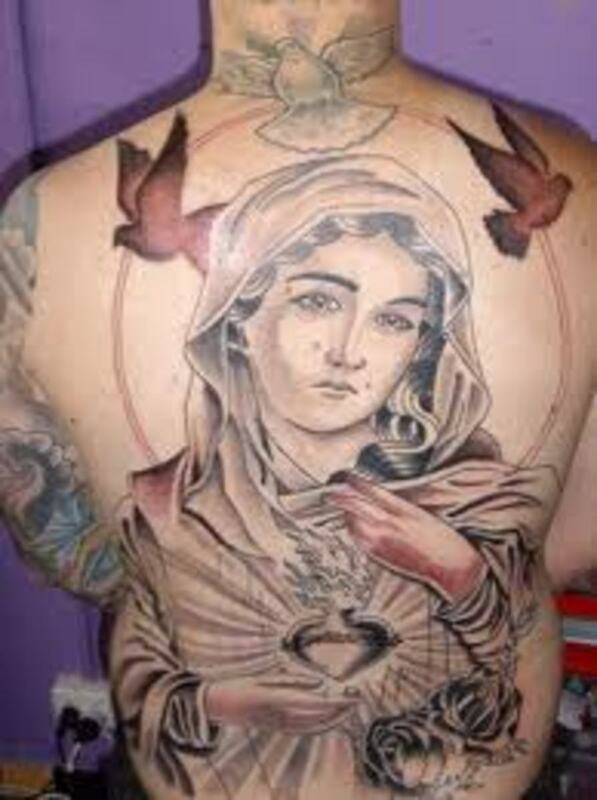 When it comes to a Christian being tattooed, you should consider some important things. Whether you believe it is your right or not, you should weigh out your options carefully. If you belong to a certain church, you may want to ask them to get their view. Different perspectives can help you make a decision. You may want to talk to your family or you may want to research the Bible when the Lord speaks of the body. You don't want to pull the gun and rush to get inked without weighing out your options. 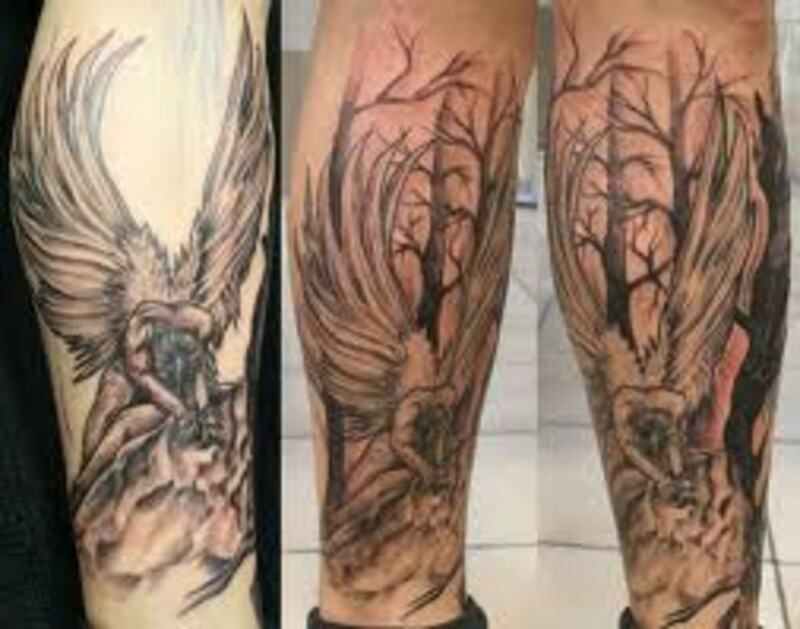 When it comes to religious tattoos, there are a variety of them perfect for a Christian tattoo. 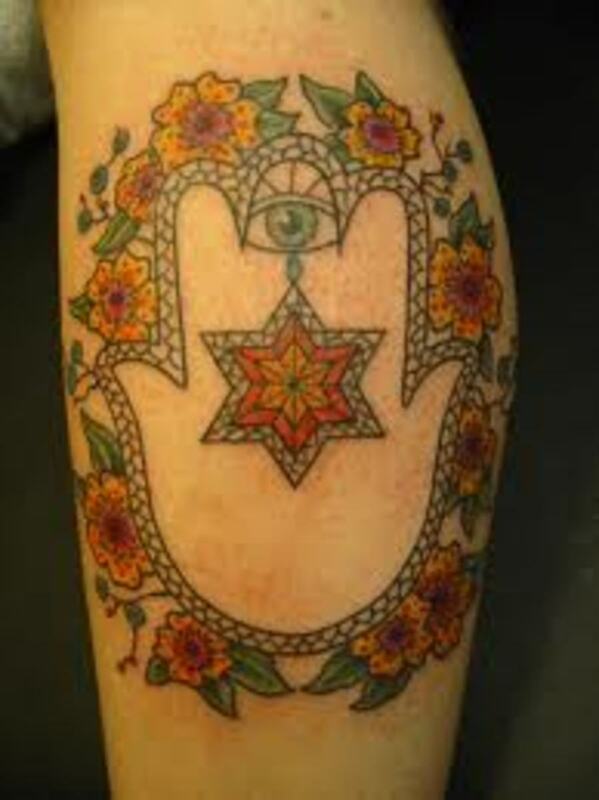 The religious symbols below are some of the most popular religious tattoos available. All of these religious symbols can represent your faith and love for the Lord, however, some of them may symbolize other meanings. 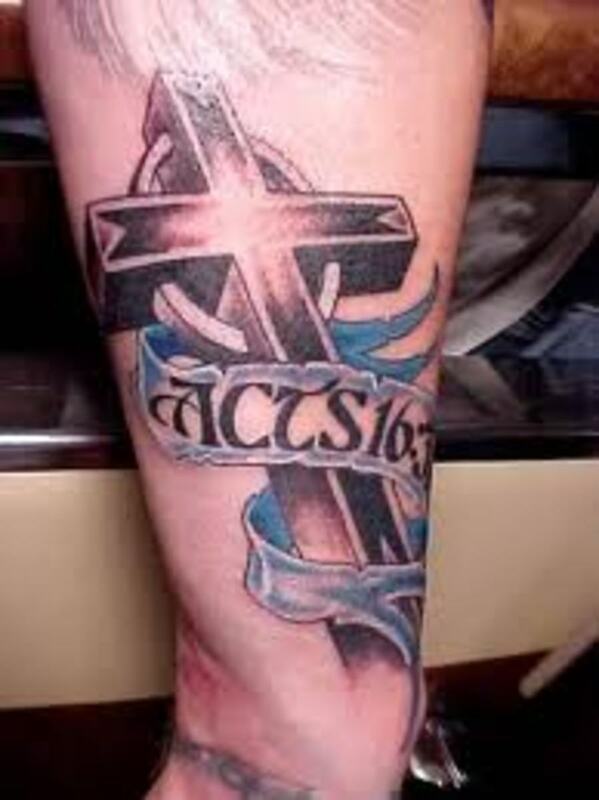 In saying that, below, you can find the meanings and symbols behind Christian tattoos. Cross- The cross is the most recognized symbol of one's religious faith. 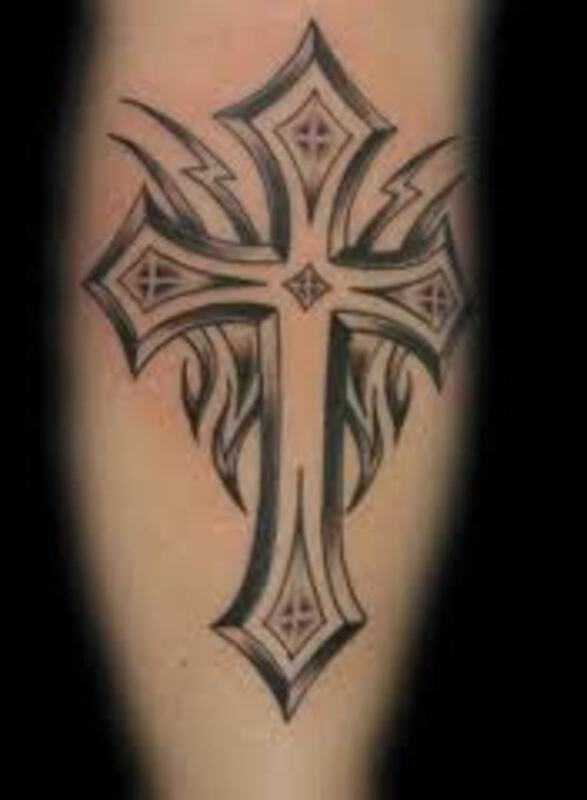 Cross tattoos symbolize faith, hope, love, and the Lord. 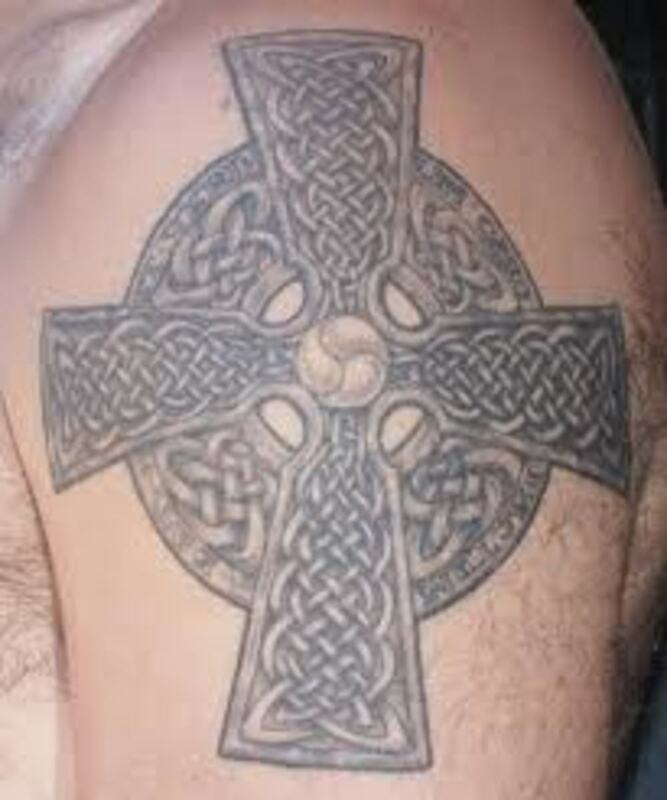 Cross tattoos can be done in a variety of different ways and such tattoo designs can incorporate other religious symbols, The cross tattoo can be designed in various sizes, therefore, it can nearly be inked anywhere on the body. 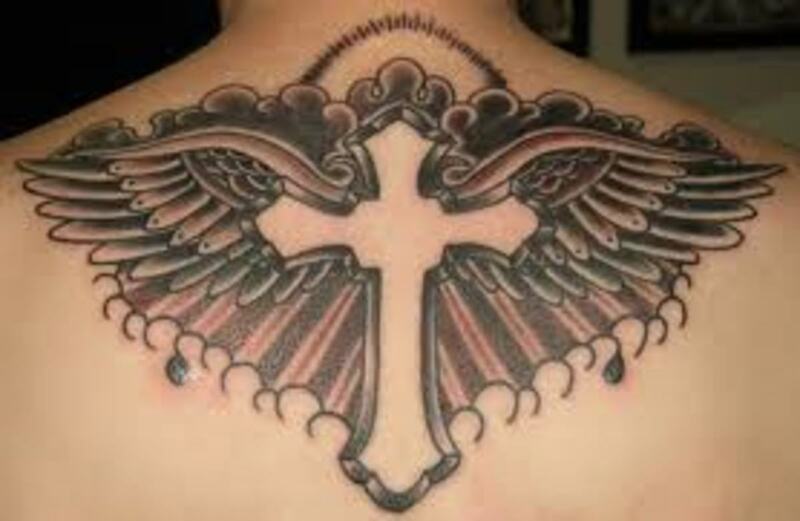 You may want to have a cross necklace tattoo or have a cross with angel wings designed on your back. 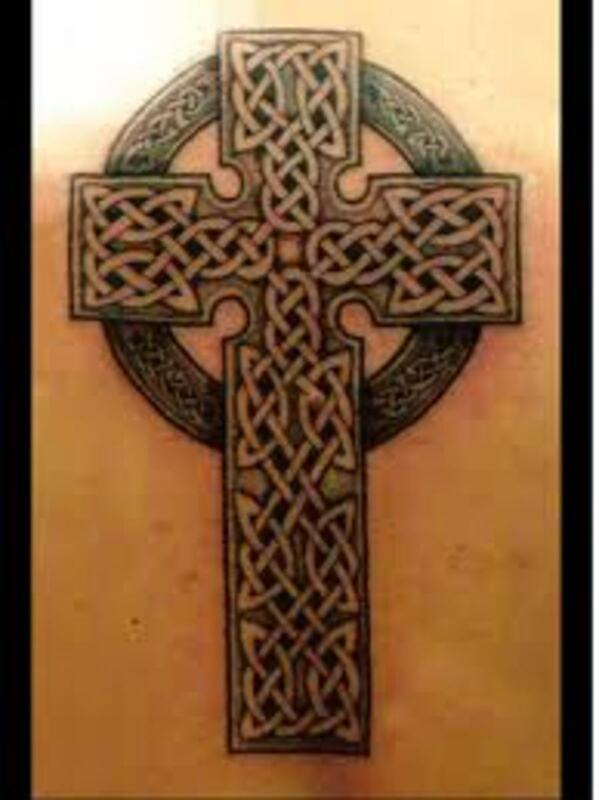 Cross tattoos may also be done in Celtic or tribal art. 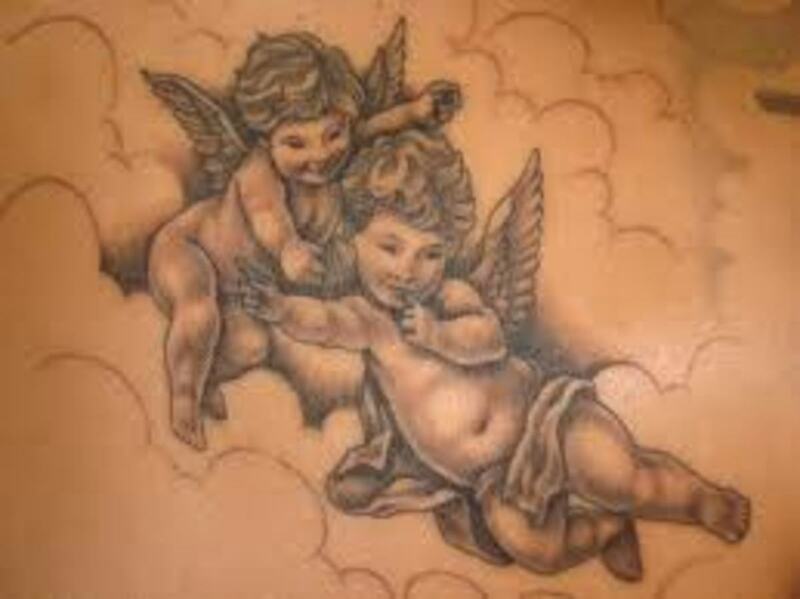 Angel- Angel tattoos are also another popular religious tattoo. 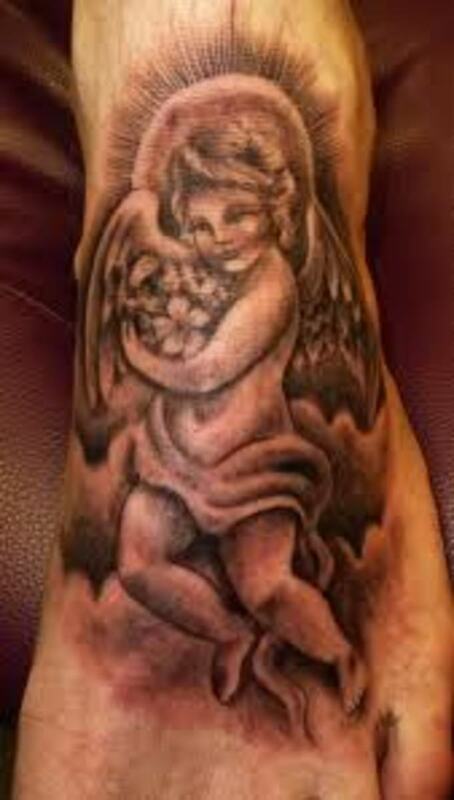 Angel tattoos can symbolize protection, faith, love, and Christ. Many men and women believe that they have a guardian angel that watches over them during their journey in life. This is why the angel can symbolize protection. 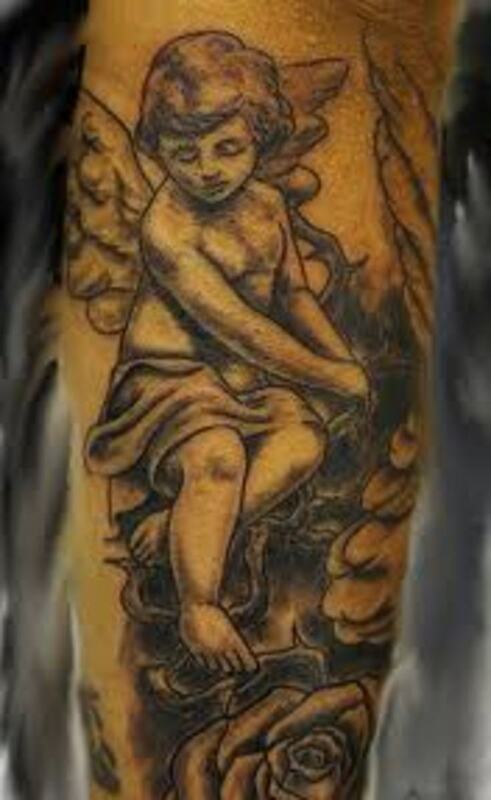 Angels can also be designed in several different ways and portrayed with other religious symbols. 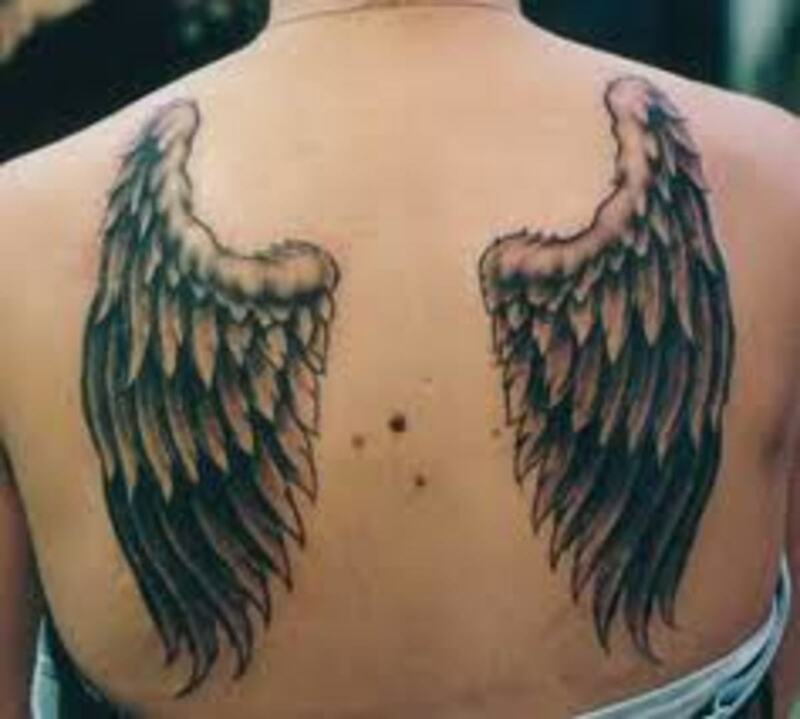 Angel wings can also be designed to represent the same thing. These are mainly tattooed on the back. 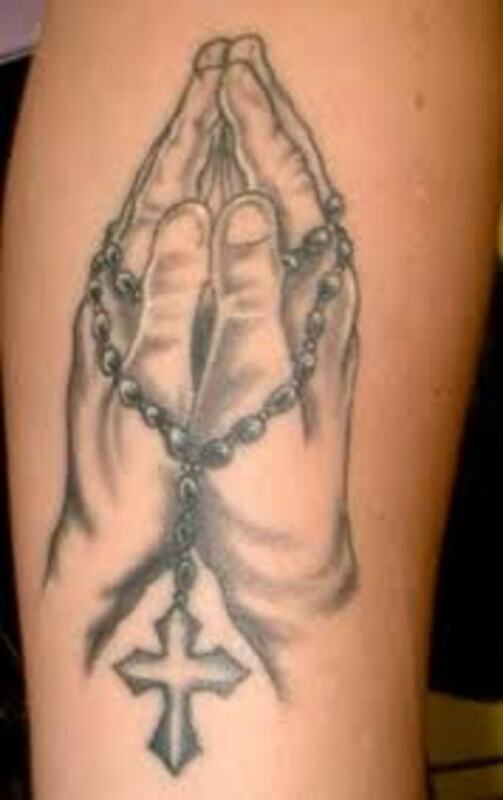 Praying Hands- The praying hands tattoo is also considered﻿ to be a religious tattoo. 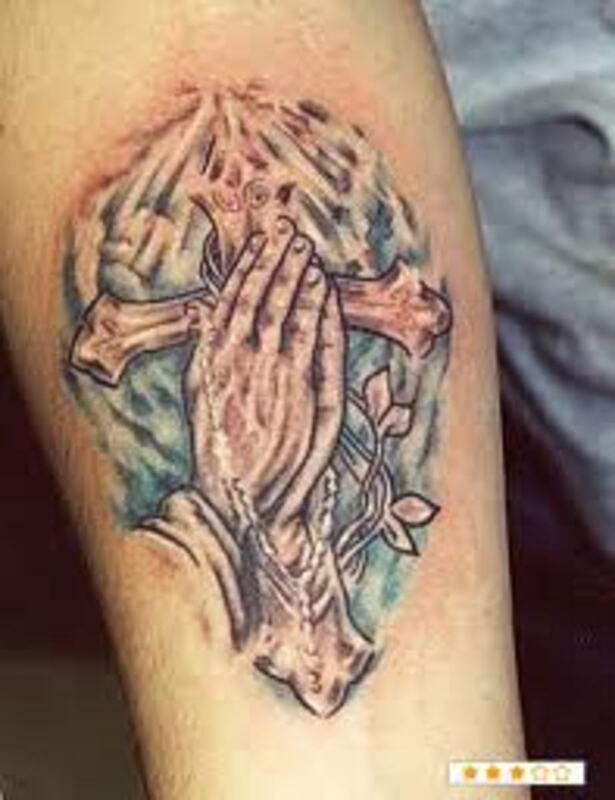 The praying hands tattoo portrays two hands together as if they are praying. 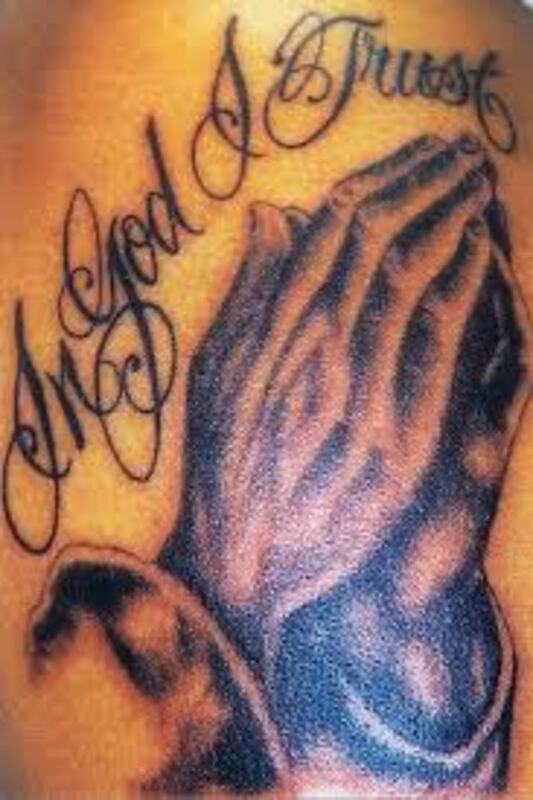 Just like the cross tattoo and angel tattoo, the praying hands tattoo can symbolize faith, hope, prayer, and God. 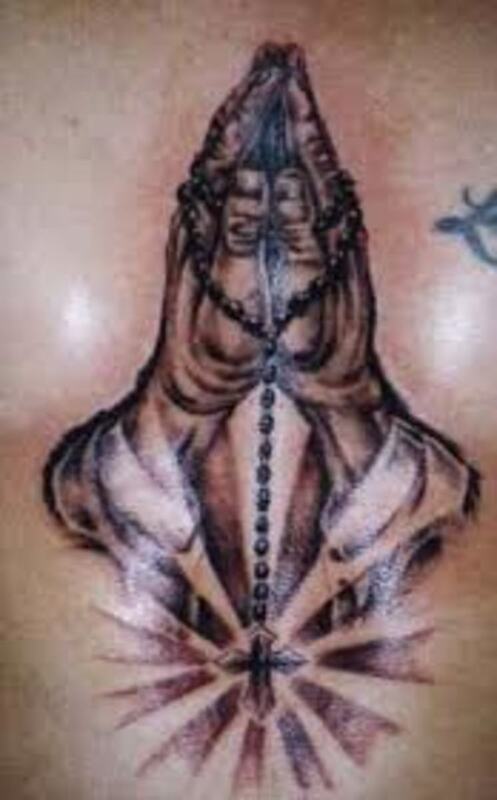 Praying hands tattoos can also be designed with other religious symbols, most commonly with a rosary bead. 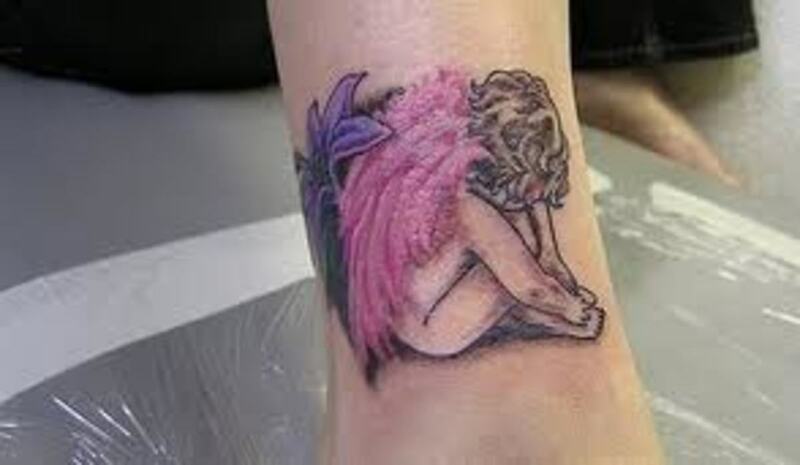 They can be designed in various sizes and tattooed in several locations on the body. 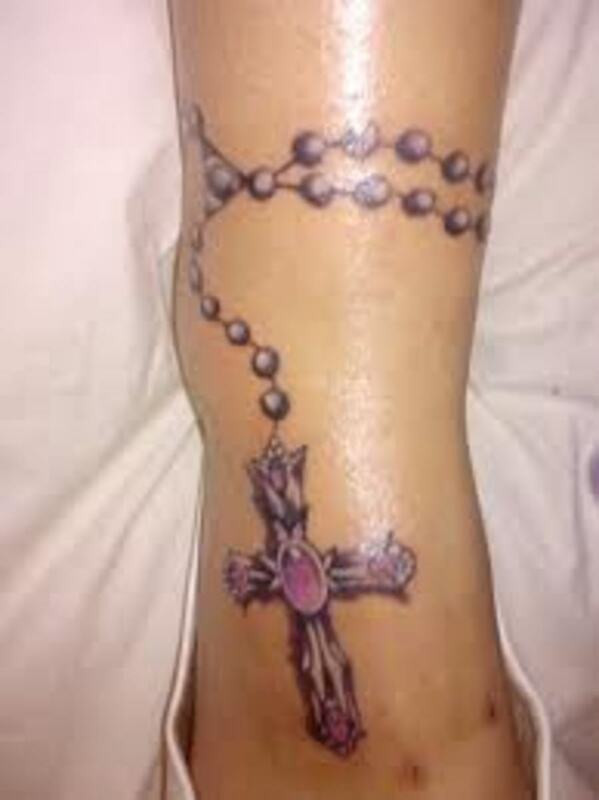 Rosary Tattoos- Rosary tattoos or rosary bead tattoos are also another option for those seeking a Christian tattoo design. 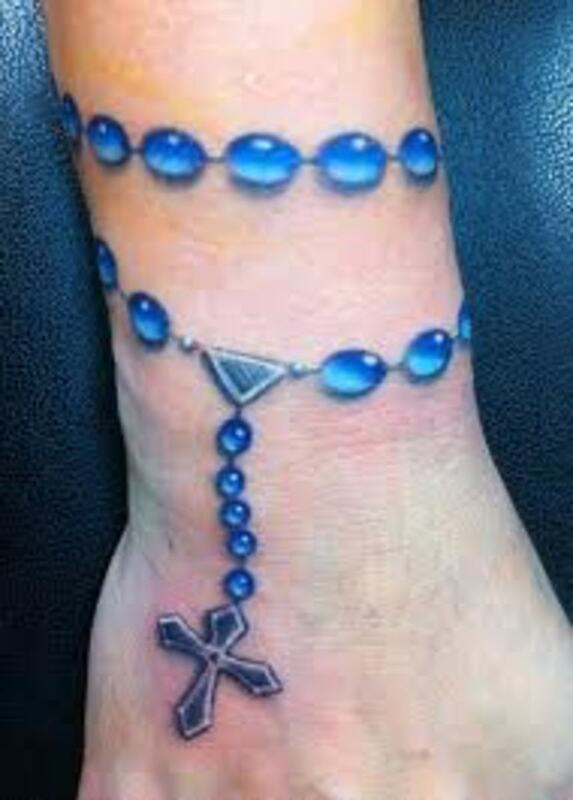 The rosary tattoo portrays a rosary bead with a cross. The purpose of the rosary was to keep track of how many prayers have been said. 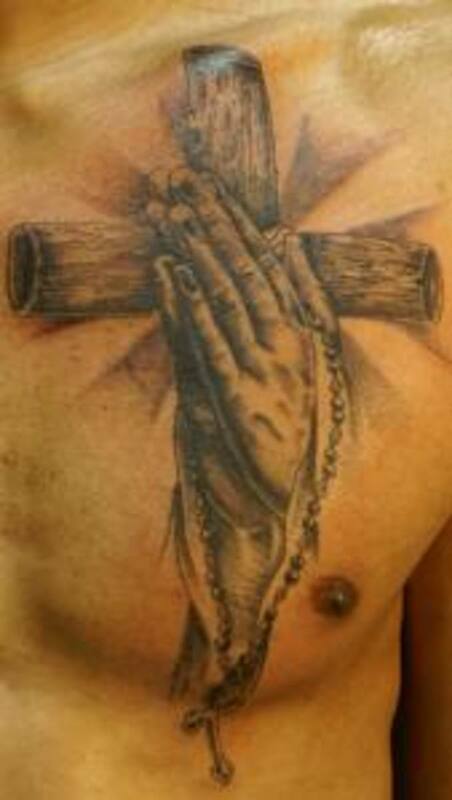 The rosary bead tattoo is commonly portrayed with praying hands tattoos. 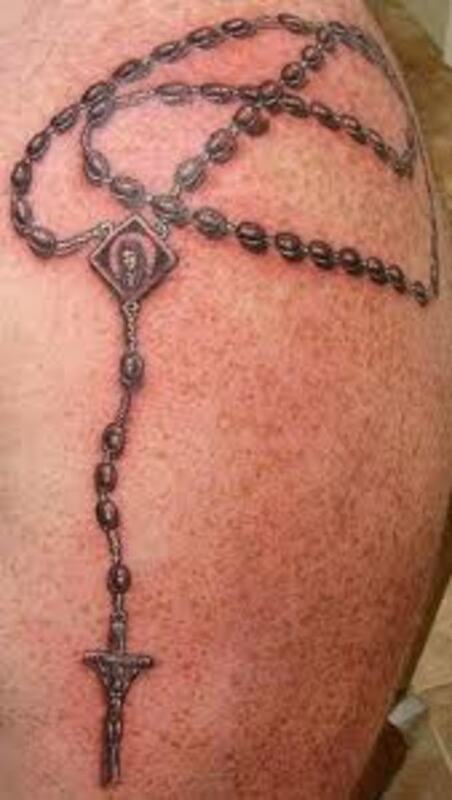 The rosary tattoo can portray faith, hope, spiritual strength, and prayer. The rosary tattoo is usually tattooed around the neck, ankles, and wrist. 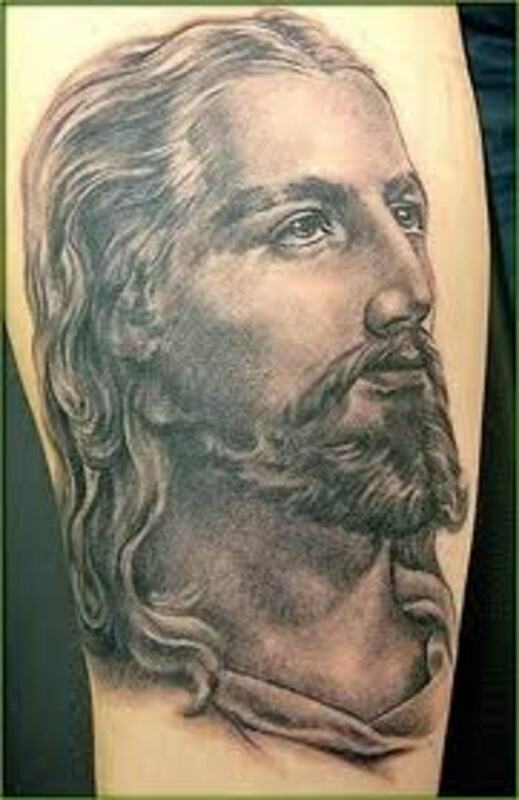 Jesus Tattoos- Jesus tattoos are the ultimate symbol of one's faith. There are many variations to Jesus tattoos. 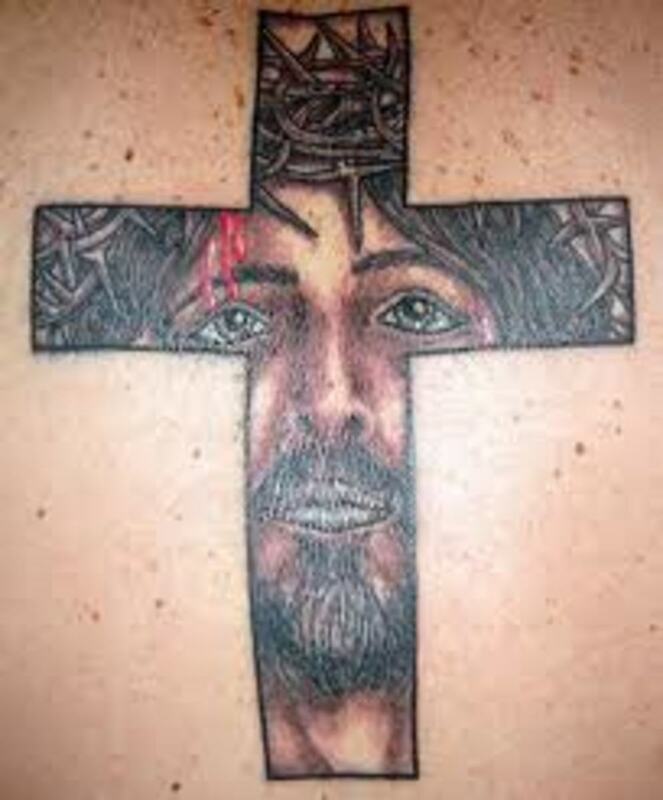 In such tattoos, Jesus may be portrayed on the cross or portrayed in his natural beauty. 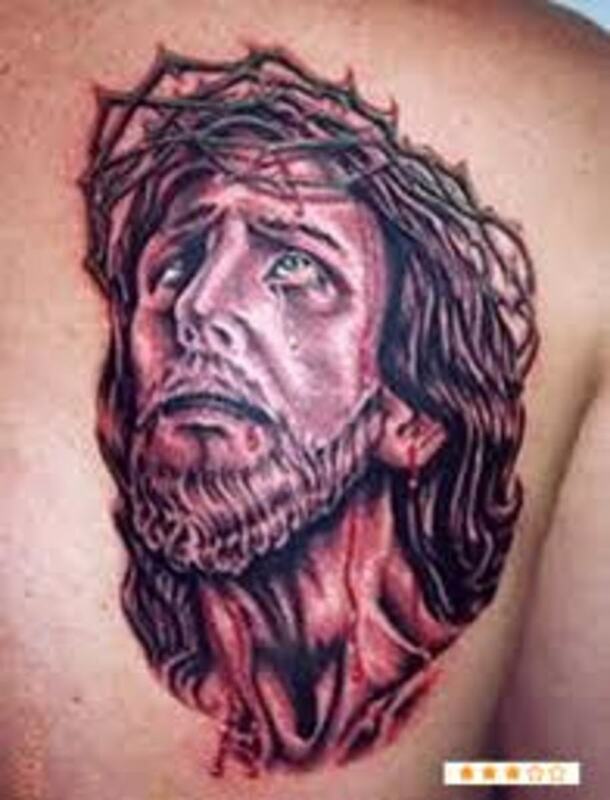 Some Jesus tattoos can be very graphic and portray blood and scars. 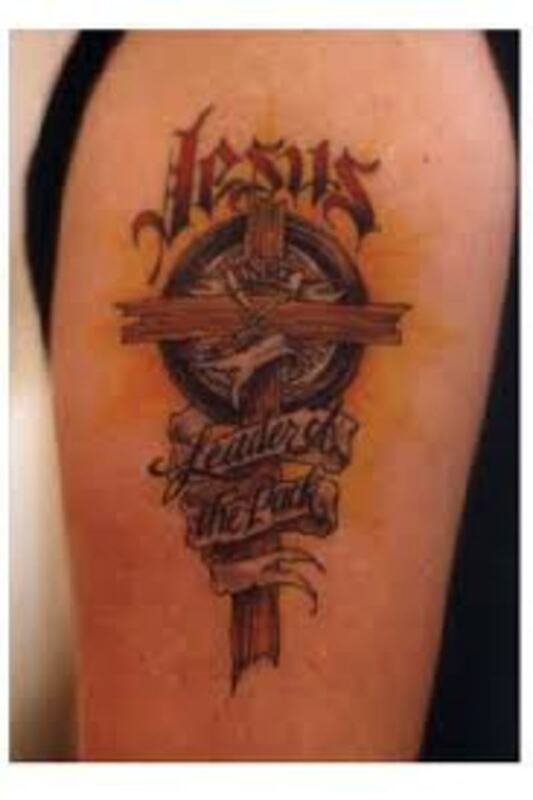 Jesus tattoos symbolize love, faith, spirituality, and the Lord. 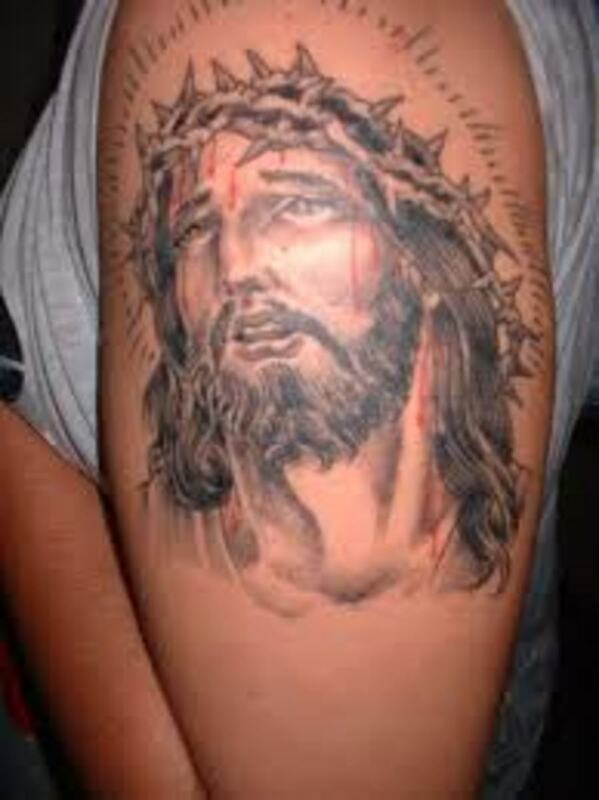 Jesus tattoos can also be portrayed with other religious tattoos. 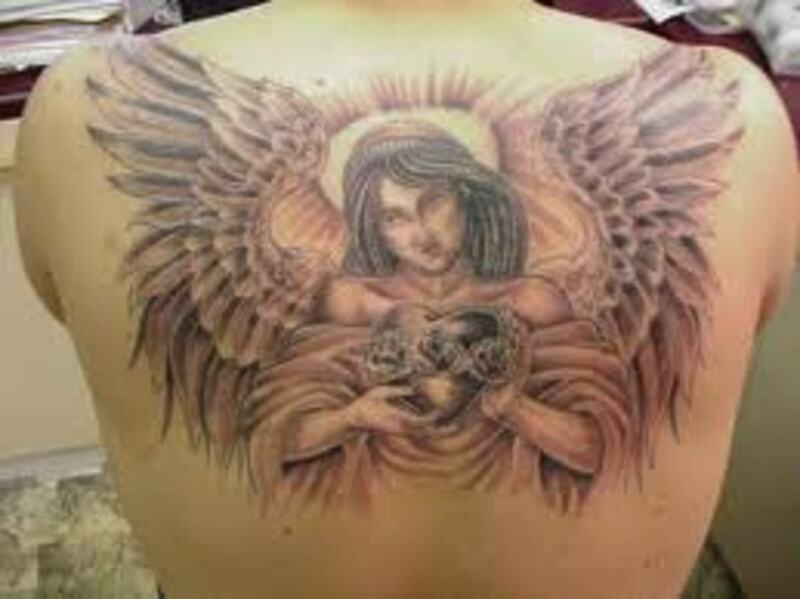 There are some very important things that you should remember before you choose your religious tattoo. If you are a Christian or a religious member, do make sure that you think about the entire process. It is best if you check with your church, family, and friends. 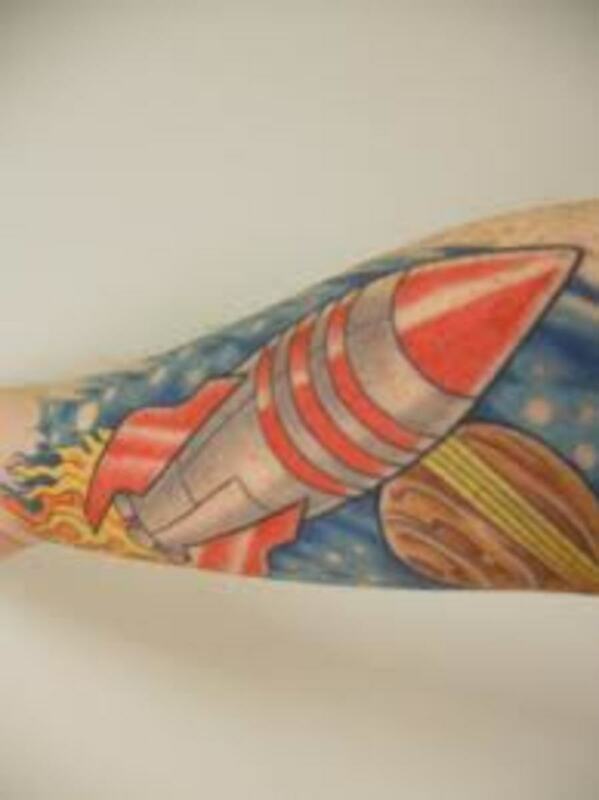 Before you choose any tattoo, make sure that you take the time to research your tattoo. Make sure that you completely understand what your tattoo represents and stands for. Don't rush to get inked! 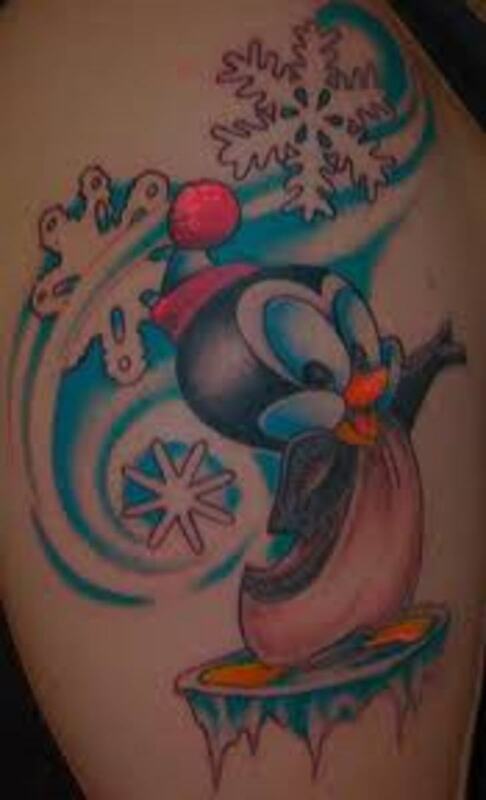 Men and women that rush to get a tattoo on an impulse usually have regrets later on down the road. Remember, even with our technology, all tattoos can't be removed or covered. Make the correct decision the first time around. 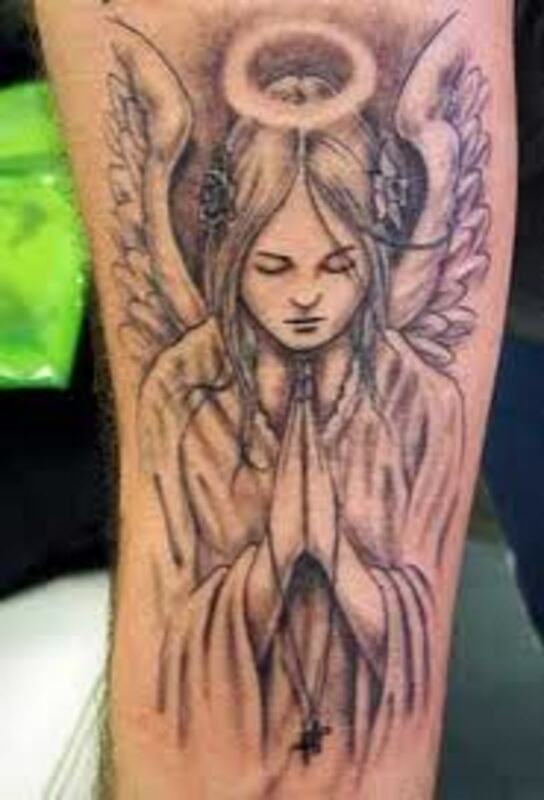 If you feel that religious tattoos are not for you or you want to view more tattoos, please feel free to follow the links below. As always, thank you for your visit and I hope you are able to take something away from this article. These are simply amazing, breathtaking! Another great hub Ricky. These are amazing. These are amazing and very beautiful. 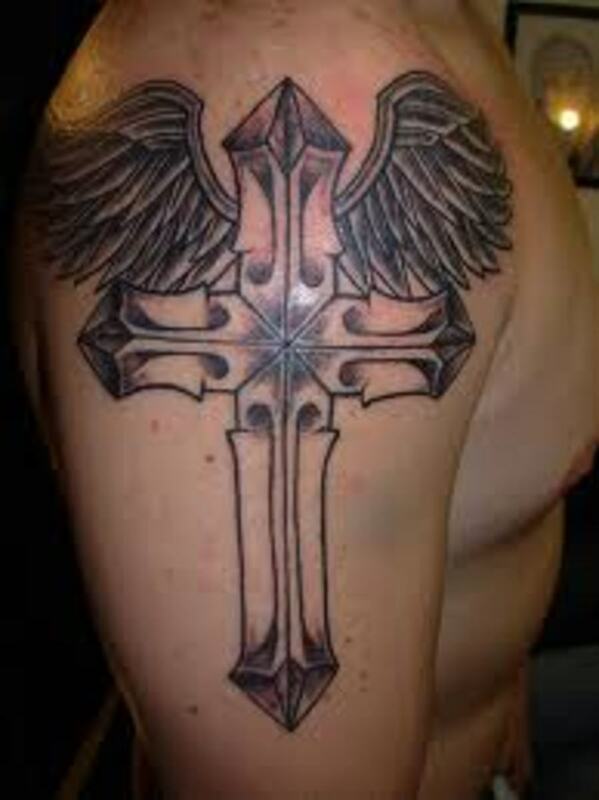 I love the Christian faith theme and this almost makes me want to get one. It is so good that your hubs don't just show tattoo art or talk about the tattoo but provide so much background. 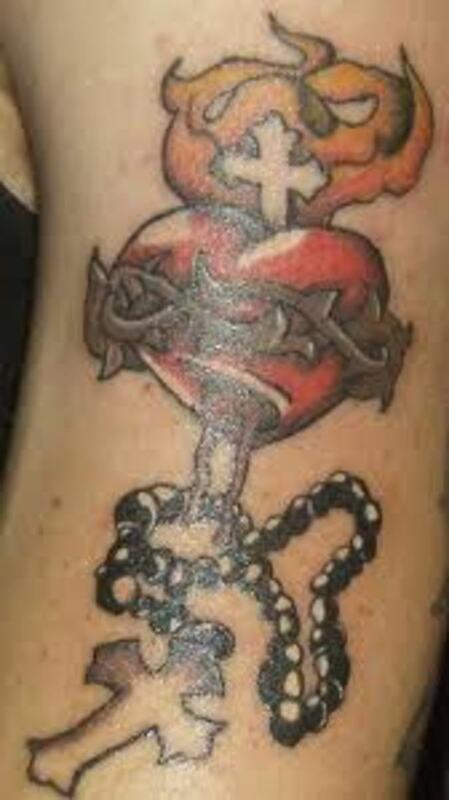 In this instance, Christian Tattoo symbols, there is a deeper meaning that many can easily relate to...other tatoos are symbolic too but not as easy to related to. Voted this up, useful, beautiful, and interesting. Some young women at church have Scritures tattooed down their ankles and feet. They are so pretty. Another benefit of a Christian tattoo is the constant reminder to make right choices and not give in to sin. Thanks for an uplifting tattoo Hub. Hi my friend, these tattoos are so very beautiful ! 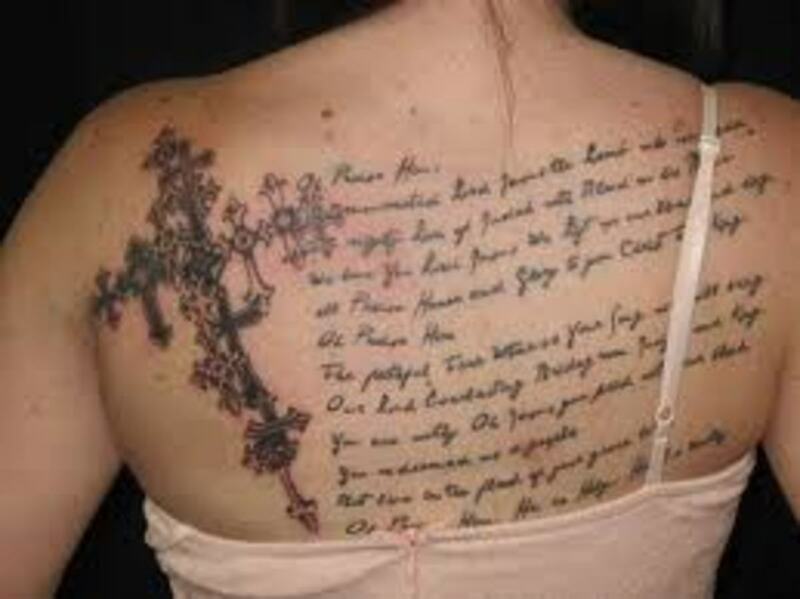 These religious tattoos are my favorite of all the tattoos you have done so far. Very inspiring hub. Very detailed, and the pictures are awesome. It is great how you decribed the symbolism of the tattoos. There is great meaning behind them. Thanks for sharing this information. Voted up and shared.